Size: approx. 10 mm. Photo: 07/12/11, 10 am. 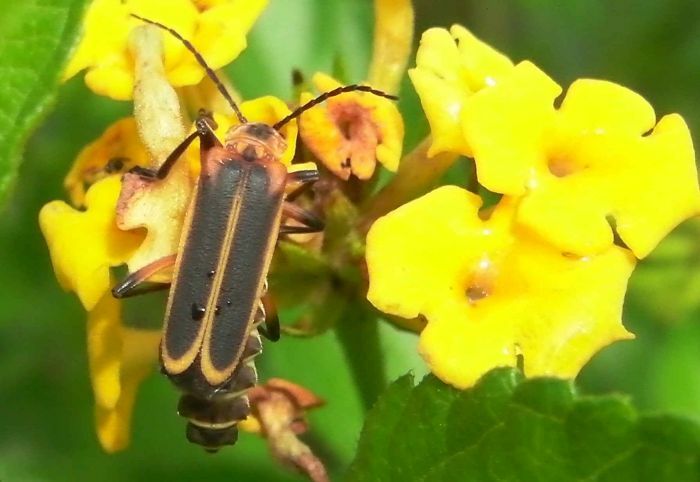 Soldier beetle (also leatherwing) Chauliognathus marginatus. The common name refers to the uniform-like appearance. The adults are important predators of aphids but also eat nectar and pollen. 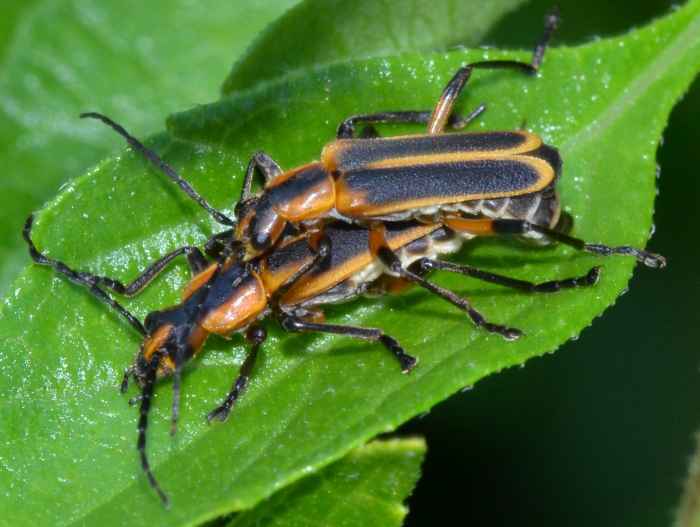 The small photo (08/28/11, 7 pm) shows mating soldier beetles (notice the characteristic black band on the pronotum).